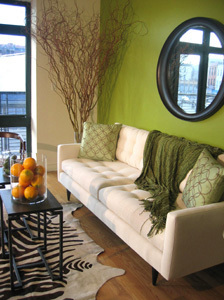 The color green is making a splash in interior design and is one of the hottest color trends for 2012. We’ve got tips from hot designers on decorating with green hues and product picks for bringing this trend home. St. Patrick’s Day might serve as the unofficial start of spring with its Irish green hues, but this year we’ll be seeing the color green in all spectrums as it makes a splash in home decor. Tangerine Tango might be the official color of the year, but green is becoming the “it” color of the season. 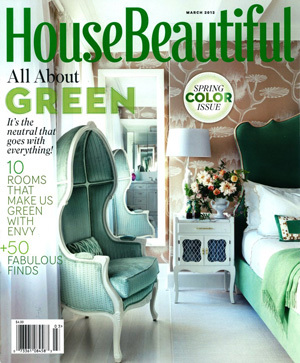 In House Beautiful’s March 2012 issue, green was declared “the neutral that goes with everything!” Once considered a vibrant accent color, green is taking center stage in decorating color palettes. To find the perfect green shade to try at home, Shannon Kaye, color expert for CertaPro Painters and former host of DIY Network’s Fresh Coat, recommends considering how you want to look and feel in that particular space. Some shades like neon green or a bright lime color might seem like no-brainers to avoid, but interior designer Sabina Vavra disagrees. Vavra, a co-star on the A&E series Keyshawn Johnson: Talking Design, says “the trick is not avoiding shades of green, but knowing how to use them properly and what to mix them with.” For example, you wouldn’t want to put a grass-green base with moss-green accents because the tones would be “negatively contrasting,” but each color individually could create a beautiful space. So if green is the new neutral, what are the best colors to combine with it? Vavra says that “the beauty of using the vast hues of green lie in its ability to easily juxtapose with almost any other color in the color wheel.” A personal favorite of hers is to combine emerald green, black lacquer and turquoise accents to create a vivid room. 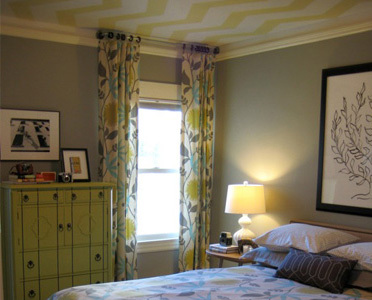 Testing out the green decorating trend can be as simple as adding a few accent pieces or going all-out with paint. Hobbs likes using bold, rich green tones on a wall color — one of her favorite shades is Fresh Cut Grass by Mythic Paint. Patterned wallpaper like this green peony print from Farrow & Ball would look great on an accent wall. Not ready to fully go green? Test it out in small doses. This lime-green zigzag pillow ($33, Amazon.com) and garden stool ($100, Overstock.com) are perfect complements for a cozy reading chair, while this chartreuse Eiffel art piece ($159, HomeDecorators.com) will give an unassuming wall a pop of color.